It is the foundation of your character and reputation. 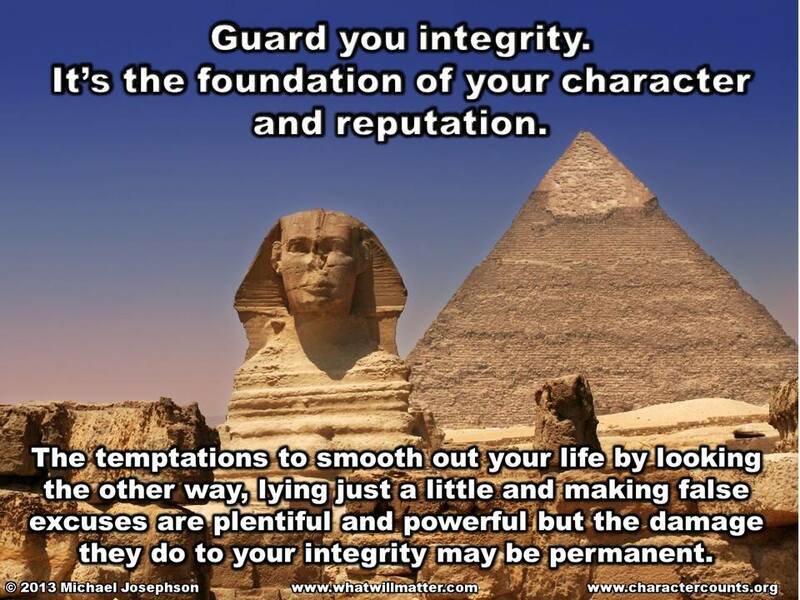 The temptations to smooth out your life by looking the other way, lying just a little and making false excuses, are plentiful and powerful but the damage they do to your integrity may be permanent. Just as teenagers sometimes jeopardize their opportunity for a good life by a short term decision to have a good time, folks in business too often jeopardize their chances to become a leader of stature by compromising their integrity in small pieces.